A new bonus to note-Seller will have a new roof installed! 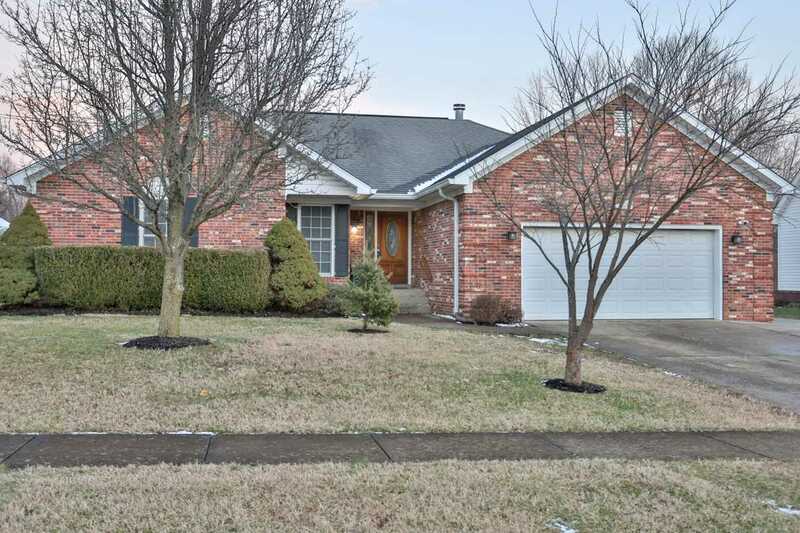 Hard to find walk-out ranch on cul-de-sac in the heart of Middletown! Much fresh paint throughout, New carpet in vaulted great room. Gas logs installed in fireplace. 4 bedroom and 3 full bath. Great kitchen with loads of cabinets,hardwood floors and double corner window. The first floor laundry in mud room with pantry. Dining room area with hardwood floors. The master bedroom has 2 walk-in closets! New flooring in 2 bathrooms. The master bath has whirlpool tub & shower. The walk-out had been used as a separate apartment -huge bedroom 13.7x21 and full bath with whirlpool and separate shower. Seller had an extra parking pad poured extra deep Big deck. Brick on all sides. Easy living and move in ready! Lot Size: 0.21 Acres / 9196 Sq. Ft. Directions:Old Shelbyville Rd to Street. SchoolsClick map icons below to view information for schools near 103 Ambling Way Louisville, KY 40243.